A Florida man was arrested after being found with nearly 300 sea turtle eggs, authorities said. The unidentified St. Lucie County man was caught by Florida Fish and Wildlife Conservation Commission (FWC) agents after a local snitched on him for taking the eggs from a beach. Agents checked a sea turtle nest and then used a canine unit to track down the egg thief, who has at least one prior arrest in 2002 for the same crime. A backpack with 299 sea turtle eggs was found in the man's possession, the FWC said. Sea turtles are a protected endangered species in Florida, and the man faces both state and federal charges for the thefts, according to the agency. The eggs are sold on the black market for about $30 per dozen, according to the Palm Beach Post. They are seen as an aphrodisiac by some cultures that bake them into food and even use them in religious ceremonies. Egg stealing appears to be a problem in the Sunshine State. 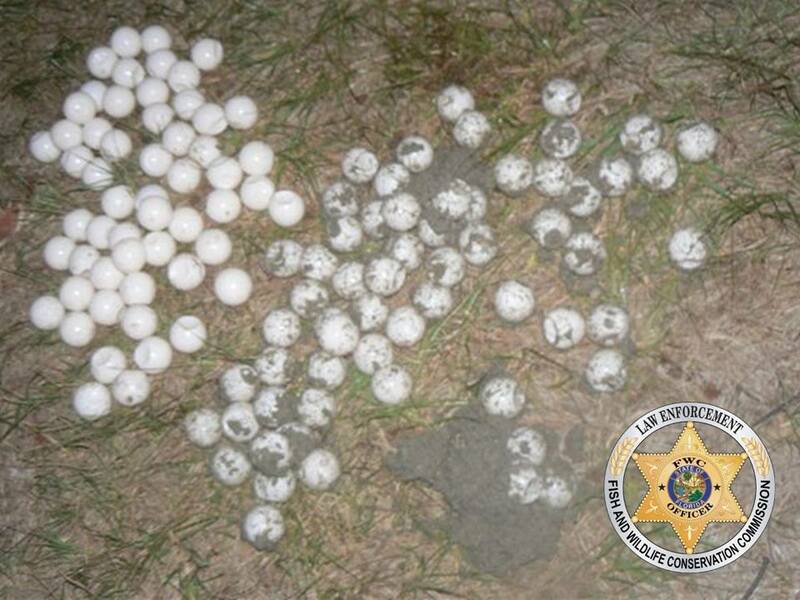 Numerous people have been arrested for pilfering sea turtle eggs, including a man with multiple arrests for the crime since 2005. Penalties for disturbing sea turtle nests are stiff – up to five years in federal prison and a $250,000 fine. A message left with the FWC seeking more information has yet to be returned.